Air humidifier at living room. 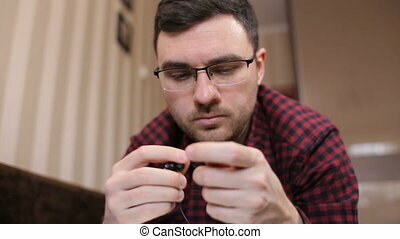 man using tablet pc on the background. 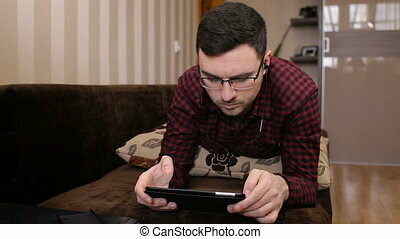 Man lying on the couch listening to music and using tablet at home in the living room. Man working on the black tablet computer sitting on a couch in the room. Screen on the Tablet green background with Tracking points for the creation alpha channel in moving. Full HD 1920 x 1080, 29,97fps. Young Man working on the black tablet computer sitting on a couch in the room. Screen on the Tablet green background with Tracking points for the creation alpha channel in moving. Full HD 1920 x 1080, 29,97fps.